Quote: Another major project is in the works a bit further down King Street. Vive has been buying up property in the block bounded by King, Ottawa and Charles streets and Borden Avenue, and now owns close to two acres in the block, where it hopes to build 500 or more rental units, said Stephen Litt, a principal at Vive. The development is in the early stages, but it will likely be built in phases over the next several years, Litt said. It could include a grocery store as well as hundreds of apartments priced in the mid-range. He sees the site as having great potential as a gateway to the downtown. Where was the quote taken from? Is this proposal still making progress toward a construction start in 2019? A perfect block for redevelopment - as long as they save the old Onward Mfg building (is it heritage protected, I wonder?). Is one allowed to be sceptical about developments that "could" include a supermarket? (11-10-2018, 09:55 AM)panamaniac Wrote: Is one allowed to be sceptical about developments that "could" include a supermarket? As long as the project does not hinge on signing up a supermarket as a tenant, that shouldn't affect its viability. But having a space that is suitable for a supermarket doesn't mean that one will sign up and lease that space. I was unclear - my scepticism relates to the likelihood of a supermarket, not to the development itself. (11-10-2018, 03:38 PM)tomh009 Wrote: As long as the project does not hinge on signing up a supermarket as a tenant, that shouldn't affect its viability. But having a space that is suitable for a supermarket doesn't mean that one will sign up and lease that space. Ah, yes. I'm confident that we'll get a mainstream (put possibly urban-sized) supermarket downtown. Some day. But whether it's in the next three, six or sixteen years, I really don't know. In the meantime, grocery selection downtown is pretty decent now (SDM, J&P, Legacy Greens, the market, Hasty Market, New City and BT) so I'm not desperate. As for progress, I have no idea, this is the first I've heard of it. Windows going in to the new LCBO on King today, lights were on inside too. Whats the est completion date for this one? 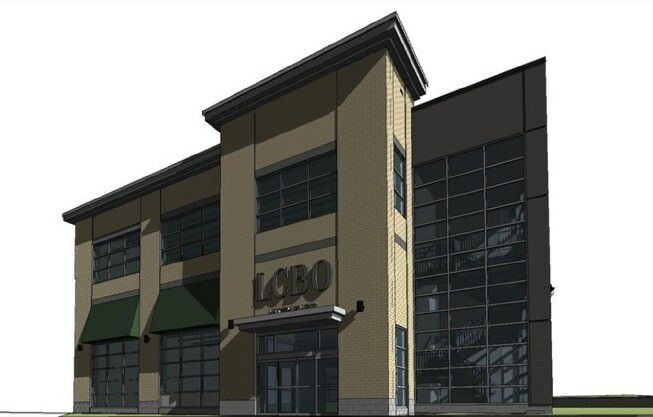 (11-21-2018, 04:26 PM)GtwoK Wrote: Windows going in to the new LCBO on King today, lights were on inside too. Whats the est completion date for this one? What's the exterior cladding of the building? (11-21-2018, 06:44 PM)panamaniac Wrote: What's the exterior cladding of the building? Good. I was concerned it would be yet more grey/black brick or, worse, EIFS.